The first time I saw Les Miserables on Broadway I was 13. I sat in the front row, dead center, and watched specks of spit fly from Jean Valjean as he sang “Who Am I” and jumped as the lovely ladies reached off the edge of the stage as though they would drag me up onto it and trembled as Epinine died in Marius’ arms on the barricade. Since that first Les Mis experience, I’ve seen the musical on Broadway 6 more times until they finally took it off Broadway for good. (Please bring it back, please, please!) I’ve read the novel. (yes, unabridged! I teach English, would you expect anything else?) Killed my CDs from continuous listening, and can sing any part pretty much on command. I’ve watched the PBS Les Mis concert til my DVD wore out. And, to complete the cliché, I bought the T-shirt. I am a Les Mis junkie. (We can be a bit possessive about this beloved musical at times, but it’s all in good fun. Usually.) So when I heard they were making a Les Miserables movie that Cameron Mackintosh was producing, to say I was excited would be a supreme understatement. Sitting in the cinema was like reliving my first Les Mis experience. In a sold-out theater, the only seats left were front row, dead center. I was elated (though my husband was far from it). And my mind is still reeling from the enormity of the experience. I wanted to offer just a few thoughts in response, but at this point, I don’t want to spoil anything for anyone. If you know the story of Les Mis at all, then there’s really nothing I can say that will give away the storyline. However, if you haven’t seen the movie yet, I might recommend that you come back and read the rest of this once you have. And I promise that no matter what I say from here on, the movie is absolutely breath-stealing. You will not regret dropping $10 (or more) and 2 ½ hours of your life on it. No gushing superlative can do it justice because it’s just that good. So go. Watch it. And see you back here once you have--I want to hear your thoughts! 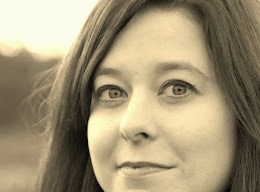 · The opening scene was astounding. That is a scene I was unprepared for. In the musical the opening scene is simply a lead-in to the story of Jean Valjean in prison. In the movie it is epic. A scene of Ben Hur or Gone With the Wind proportions. It is amazing and horrifying all at once. And I loved that that scene opens the movie. Amazing interpretation and vision. · The vocals were done live. Because the actors actually had music piping in their ear and they sang each scene live, it gave great immediacy to the action. Nothing felt canned or pantomimed. The actors, too, seemed freer to interpret their character and indwell each scene. The gritty was grittier. The tortured was more tortuous. The joyful was sheer elation. The live-performance worked exceptionally well for 99% of the actors. However, because there was no studio to clean up any vocal flaws, there were moments when the vocals fell short of their mark. 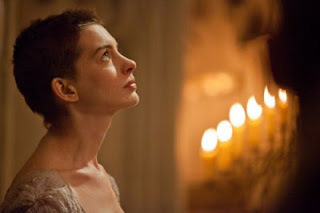 · Fantine as portrayed by Anne Hathaway. Hathaway has such an intensity and a vulnerability that perfectly encapsulates the character of Fantine. Even now my stomach churns thinking about some of her scenes. And Hathaway’s rendition of “I Dreamed a Dream” was spot-on. Stunning. Moving. But this creates a problem which brings me to my next point. · Hathaway was perfect. What? Okay, hear me out. On stage, Fantine’s storyline is tragic. Sad. Heart-breaking. 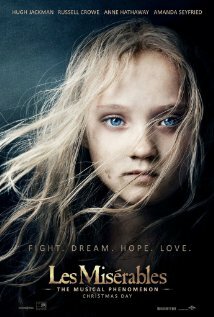 On screen, Fantine’s storyline is horrifying, disturbing, almost gruesome. Yes, in real-life, it would have been. However, her on-screen story took me so far into the dark that I had trouble pulling myself back out once Valjean steps in and offers salvation for her daughter. Fantine handing over Cosette and Valjean claiming her as his own is supposed to be his “new beginning.” (And Les Mis, after all, is Valjean’s story, not Fantine’s.) But I couldn’t fully feel the glow of that salvation because I was still shrouded in the shadow of Fantine’s fall. Which is due in part to Hathaway doing her job so ridiculously well. But this seems a directorial failing, rather than a failing on Hathaway’s part. I say that because when Valjean goes to get Cosette and we first meet the Thenardiers at the inn and they sing “Master of the House,” it’s supposedly a comic scene. However the Thenardiers (played by Sacha Baron Cohen and Helena Bonham Carter) in the movie do not provide enough comic relief. “Master of the House” should segue from the dark of Fantine’s death to comic relief in the inn to the hope and joy of Valjean finding Cosette and beginning a new life. But there was no segue. The director did not direct my eye away from the darkness; I had to do it on my own. And while this is maybe only a slight failing, for me it made my transition out of Fantine's storyline a bit bumpy. 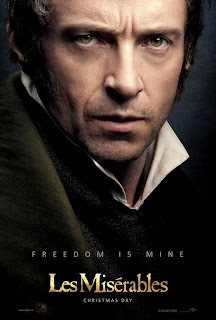 · Hugh Jackman as Jean Valjean. While Jackman has serious musical theater experience, I still had my doubts. And there were a couple moments where I cringed (particularly when he sings “Bring Him Home” over a sleeping Marius on the barricade. Another example of the downside of a live performance). But Jackman was stalwartly convincing from start to finish. In particular, I was drawn in during the song early on, “What Have I Done”. He hooked me there so securely, so completely that even when there were a few weak vocal moments, they didn’t bother me. I was so absorbed in his character. I also loved the new song “Suddenly” that was written for the movie, which Valjean sings as he is trying to leave Paris with Cosette. A beautiful job by Jackman, very touching. I also appreciated that the all-star Jean Valjean who played the role on Broadway and London’s West End for years (Colm[C.T.] 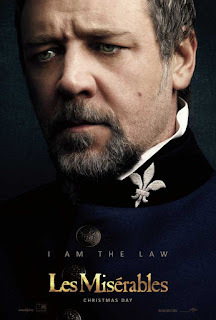 Wilkinson) was cast in the role of the priest for the movie. Homage to one of the Les Mis greats, it was a treat to see him perform in the movie after loving him on Broadway. · Eddie Redmayne as Marius. Marius is the crown jewel of this movie. I felt a twinge of disappointment when Redmayne first appeared on scene. He seemed too boyish. Not strong enough for such a leading role. But then he started to sing. He was brilliant. And, for me, this is a big deal. Because after the barricade falls, Marius must sing my favorite of all favorites, “Empty Chairs and Empty Tables.” And if that doesn’t go down well, then the sour taste in my mouth is near-impossible to get rid of. (Because that is MY song, and if you screw it up, we’re gonna have words. Did I mention we junkies can be a bit possessive?) But, good Lord, Redmayne delivered. It was soaring and agonizing at once. Like Hathaway, Redmayne does his job perfectly. Had I not been in a crowded theater (and had my husband’s hand not been holding firmly to my own because he knows I’m prone to outbursts of enthusiasm in a musical setting), I would have applauded with vigor as the final notes floated away. Brava. 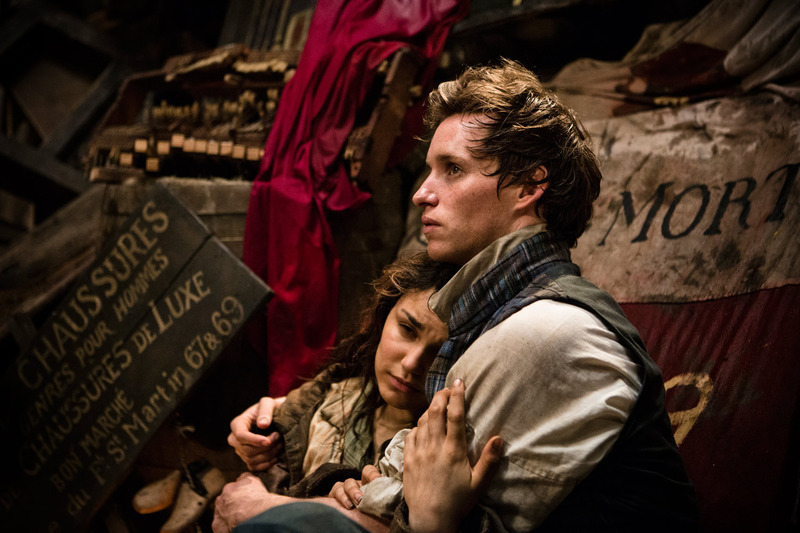 In fact, Marius steals the show from Cosette played by Amanda Seyfried. I hate to say it, but Redmayne carried Seyfried (whose performance seemed to me merely adequate…but I digress.) Overall, Redmayne came as a delightful surprise. And it is primarily his performance—okay, along with Hathaway’s and Jackman’s—that would keep bringing me back to the big screen version. But, of course, it is the story and the music that will always remain the compelling factors for me--far more than the actors themselves. Because they do what both story and music are meant to do: transcend.